Enjoy a fingerlicking home cooked meal in front of this Blaupunkt TV that renders a resonating sound output thanks to its 30 W Surround Sound Speakers and a Wide Viewing Angle of 178 degrees for a better viewing experience. Superior sound quality coupled with captivating image quality gives you an immersive viewing experience. Bring home this Blaupunkt TV and enjoy the luxury of a cinematic experience in the comfort of your home. 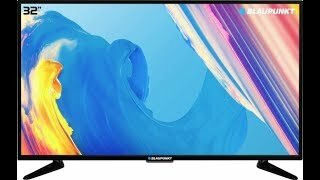 Treat your eyes to an enhanced and vibrant color reproduction that this Blaupunkt TV offers its viewers. Enjoy superior audio quality as this Blaupunkt TV has 30 W Surround Sound Speakers that deliver great sound output. With a Wide Viewing Angle of 178 degrees, you can now enjoy good picture quality without any distortion even from the sides. Flipkart will facilitate Installation & Demo at time of your convenience from an brand authorized service engineer, Flipkart will communicate the day and time slot of the scheduled Installation & Demo through a SMS, The Installation & First Demo service will be provided free of cost. All additional accessories not part of the the package will be charged separately, The service engineer will install your new TV, either on wall mount or on table top. The wall mount is provided free of cost, The authorized service engineer will be providing detailed demo that includes, a. Physical check of all ports, including power and USB ports. b. 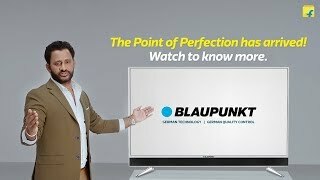 Checking also of accessories c. Understanding your new TV's features with complete demonstration of features and settings d. Quick run-through on how to operate the TV e. Preventive maintenance action to be taken.